The methodologies developed have been proven in-the-field with large bureaucratic multi-nationals, in solopreneurs and everywhere in between from $15M to $12B. Here are just a few of the frameworks we specialize in. This is about implementation and execution – not about debating words of your mission statement. Perhaps you have an established strategy, but whatever the reason, you’re not getting results you must have. We guide you through your blueprint and the tactics for execution in a clear, concise and compelling manner that moves your organization forward with the resources to support that execution. Leaders often struggle with what they can do to have a more cohesive, engaged and productive group of employees. 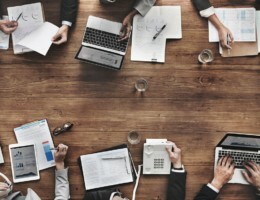 The billion-dollar costs of this situation are staggering in terms of employee turnover, low productivity, decreased customer or client satisfaction, the potential for increased error rates, and more. We deliver a six-step deep dive that bakes in a comprehensive leadership and talent management process. Influencing culture starts with dissatisfaction of the status quo and discontent evolves when a voice arises providing a positive vision and a clear path forward that’s within the power of the employee population. You struggle with adapting and executing processes. You can demand compliance, but you cannot dictate optimism, trust, conviction, or creativity. Our methodology gathers force and scale through small groups successfully co-opt existing networks and influencers. Leaders then leverage their momentum and influence to replicate the change in the formal power structures and rules of the organization. Here’s how you get things done while strengthening relationships and have more influence – a Leadership process to achieve your goals in one-on-one influence situations. More importantly, you develop more flexibility in how to influence people – a skill that will help you throughout your career. Leadership presence is a huge topic today, and getting to the heart of having true leadership presence in every kind of communication is what this framework is about simply and powerfully. 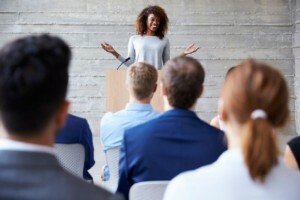 Discover what it means to be an effective communicator, and think strategically about communication as an important process in an organization. 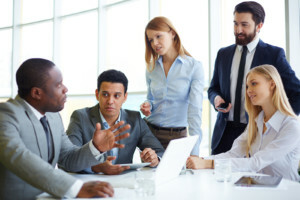 As more and more baby boomers retire, succession planning is a critical stage for ever-evolving organizations with four generations of employees in many cases. A key component of Aligning Your Talent Strategy with Your Organizational Strategy, we walk you through exactly how to assess, design and implement a robust succession plan. 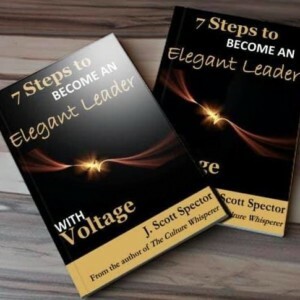 “I’m currently entering the last week of a 7 week Elegant Leader program with Scott and I must say that I’ve taken many leadership courses over the years and this is the first one that I’m truly sad is ending. Scott is, well, elegant. He’s also humble, down to earth and speaks in a language that means something to me, both professionally and personally. Amazing insight and thank you very much. I have preached for years about ” earning the right to be heard” which can only be done over time, consistently, with no strings attached, purposefully and with the intention to give and not get which I believe builds trust. I truly appreciate you taking the time to share your thoughts with me. The importance of self-introspection on how to improve my behaviors to help others was the biggest impact so far. Since completing all of the modules, my group has realized a 12% increase in throughput and a scrap reduction by 28%. I’ve been able to apply real solutions that are giving me sustainable results. The Academy should be required for everyone in leadership! Thank you for your valuable insights during our keynote. Results and relationships are two vital areas we all should be working towards successfully. I especially enjoyed and learned more about how to truly connect with people – your remarks were very helpful. Great information for me to use that strengthens what I’ve been applying in my career – good ammunition for me to use every day. Please come back and speak to our company again. Scott is a remarkable coach, advisor and person. He embodies everything that you would want in a coach/advisor for yourself, your leadership team, and your managers. He stands for nothing short of the highest levels of excellence and performance, which he has demonstrated in his own life and career. Whether it is his track record as a leader in business or the ways he contributes to his community, Scott has the substance and the internal grounding to keep you motivated and inspired while also developing creative new ways to solve your most pressing challenges. The way he shows up in life equals the substance he has with many best-practice toolkits and methodologies. 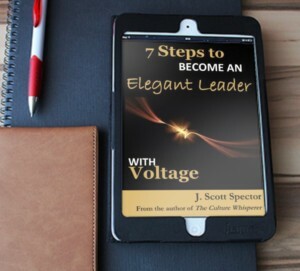 His range is amazing, from helping leaders become even better to helping teams perform better and helping you shape the culture of your organization in ways that directly correlate to results. I work with many coaches and put Scott in the top of the top because of who he is and his ability to get remarkable, measurable results. I can’t recommend him highly enough. I can’t wait to have you come back to Remington and deliver another outstanding session. I now have more courage and useful tools to be the best leader I can be. Thank you for your knowledge and I greatly appreciate your time and wisdom. High Performance Academy – A.P. The Academy was very well organized, very motivating, filled with real-world knowledge and presented very well. I gained results all along the way! I had no idea the Academy was giving me so much personally and professionally. Thank you for your time and help and I look forward to using all of the tools I’ve learned to benefit others and my career. Scott Spector is an organized and highly detail oriented leader. While overseeing an eclectic group of individuals, Scott was able to effectively lead us while exceeding expectations and meeting the needs of all involved. He is a quality person and leader. I’ve known Scott for over 15 years now and to see him grow personally and professionally has been amazing to watch. His invaluable business insights are only surpassed by the care and compassion he has for people. He lives what he believes –generous, authentic and transparent leadership.